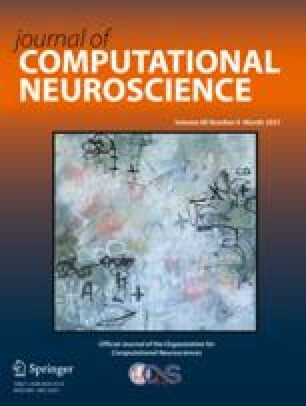 An analytical model is proposed that can predict the shape of the poststimulus time histogram (PSTH) response to a current pulse of a neuron subjected to uncorrelated background input. The model is based on an explicit description of noise in the form of an escape rate and corresponding hazard function. Two forms of the model are presented. The full model is nonlinear and can be integrated numerically, while the linearized version can be solved analytically. In the linearized version, the PSTH response to a current input is proportional to a filtered version of the input pulse. The bandwidth of the filter is determined by the amount of noise. In the limit of high noise, the response is similar to the time course of the potential induced by the input pulse, while for low noise it is proportional to its derivative. For low noise, a second peak occurs after one mean interval. The full nonlinear model predicts an asymmetry between excitatory and inhibitory current inputs. We compare our results with simulations of the integrate-and-fire model with stochastic background input. We predict that changes in PSTH shape due to noise should be observable in many types of neurons in both subthreshold and suprathreshold regimes.